The 49th Annual Obie's 4F™ Convention will be held on April 24-27, 2019. The Guest Of Honor will be Mike Powers. 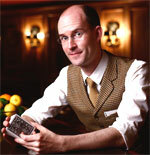 Michael Powers has performed and lectured throughout the United States as well as winning several magic competitions. He has marketed, produced and published many magic tricks, videos and books as well as contributing many of his original routines to magic magazines. He is also a long time columnist of the Card Corner in the Linking Ring. 2019 Hotel Information: Quality Inn & Suites (8250 Park Road, Batavia NY 14020). Mention 4F Convention to get the $85 (+tax) room rate. 2020 will be 4F's 50th Anniversary! The 48th Annual Obie's 4F™ Convention took place on April 25-28, 2018. The Guest Of Honor was Pit Hartling and the Lou Gallo MVP winner was Howard Hamburg. 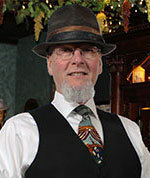 To find out more about our founder Obie O'Brien click: HERE. "Fechter's Finger Flicking Frolic" commonly referred to as the 4F™ or Obie's 4F™ convention was started in April 1971 at the famous Forks Hotel in Buffalo, New York by Eddie Fechter, Bill Okal and "Obie" O'Brien, who decided that it would be nice to have a convention dedicated strictly to the art of close-up magic. 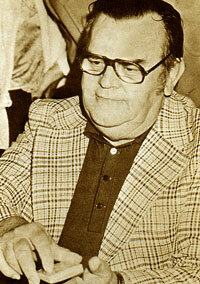 Bill Okal is no longer involved with the convention and Eddie Fechter passed away on March 31, 1979, leaving Obie O'Brien who continues to produce "The Original Close-Up Magic Convention." If you would like more information or would like to attend a future FFFF™ Convention read the open letter from our president by clicking: HERE. In honor of Lou Gallo (1932-2004) the annual Most Valuable Participant award is named the "Lou Gallo MVP Award." The award, which is voted on by all attendees, is given annually to the person whom they thought contributed the most to make the 4F convention a big success.